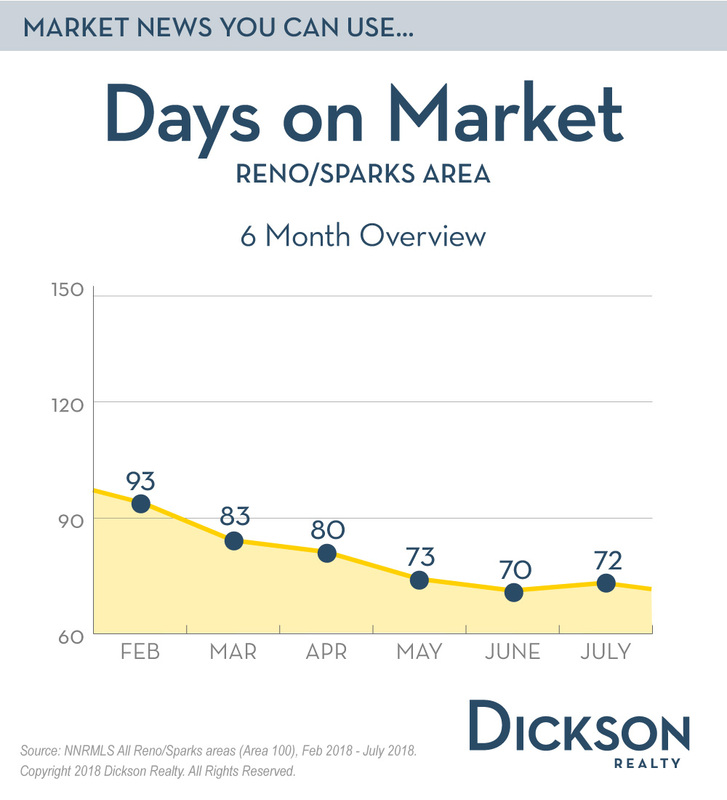 According to the Reno-Sparks Association of REALTORS, the median price increased by $7,000 to $389,000 from June to July. 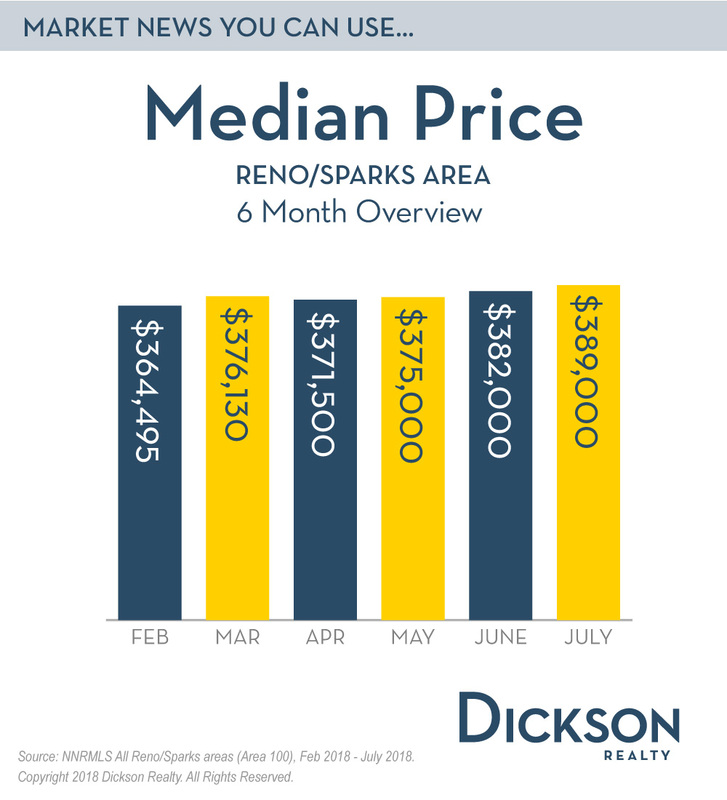 That is a new record for median price of single family homes in Reno/Sparks. It has increased by over 10% since July of last year. This year-over-year change highlights the strong demand for housing being driven by low housing inventory, low mortgage rates and continued economic growth. In July, the Average Days on Market increased by 2 days, and, at 72 days, is now 11 days less than at this time last year. In a more balanced market where neither sellers nor buyers have an advantage, the average days on market should be closer to 120-150 days. Why should this information matter to you? For sellers in many price ranges, the strong buyer demand and constrained inventory make this an excellent time to consider selling now. Your Dickson Realty neighborhood expert can help you understand what your home is worth in today’s market. For buyers, contact your Dickson Realty agent to help you get pre-qualified with a mortgage lender before you start looking at homes. 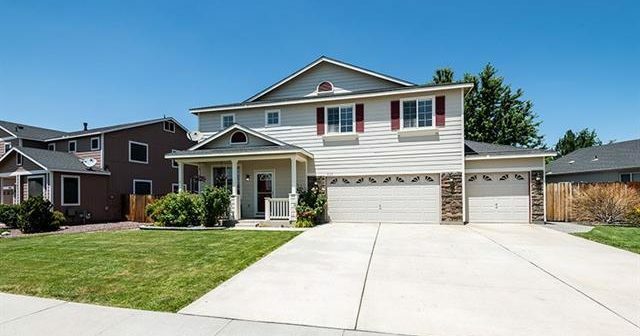 Then, you’ll be prepared to act quickly when you find the right house to call “home”.